I wanted to follow-up on my last two posts in which I was critical toward Answers in Genesis and the RATE Project by ICR. Some may think I may think I was just bashing them. I do not mean to, but there is a reason why I have a deep conviction about this: scientific data should be able to stand as neutral. God makes it clear in nature that he can be understood. We should never have to bend or distort data to fit a philosophy, whether religious or atheist. In his writings on modern thought and culture, Francis Schaeffer has emphasized going back to the basic and primary question of “Is there a God?” Science and the evidence we uncover are the best way to decide that. All people, whether believers, agnostics, atheists, or whatever, should be able to use the tools of analysis and it will point to God’s handiwork. What truth do we observe? A universe that came out of nothing and had a beginning. The universe’s physical laws are fine-tuned to support life. For instance, if the force of gravity were any stronger or weaker by 1 part in 10100 (a 1 with 100 zeroes behind it) the universe could not support life. For perspective, there are 1080 atoms in the entire universe. These points are all based on scientifically verified data, and they all seem to point to a Designer behind the universe. Also, this data was not generated by the religious, either. In fact, the Big Bang was a hard pill to swallow for naturalists, who believed that the universe had always existed. The data for the Big Bang forced scientists to accept the view that the universe, at one time, did not exist. And then it existed. The philosophical ramifications were obvious-it pointed to an external cause, namely a creator. Yet scientists, regardless of personal beliefs, accepted the data. What about the theory of evolution? Does nature proclaim it as truth? Not at all. Fossil evidence: researchers have been looking for over 100 years for missing links between the major species without result. The fossil record of the Cambrian “explosion” demonstrates the exact opposite of what Darwin predicted. Here you have almost all of the basic body plans (phyla), rather than only a few basic types of animals that gradually divide into the phyla. DNA: this discovery has only exacerbated evolutionary theory. As Bill Gates has noted, “DNA is like a computer program, but far, far more advanced than any software we’ve ever created.” There is no scientific theory or explanation for the origin of the informational code in DNA. Cells are nano-machines: they read DNA and make small molecular machines that perform specific tasks that are essential for life. There is also no scientific theory or explanation for the origin of cellular functioning. Irreducible complexity: many aspects of cellular functioning require many parts, working together. Removal of any of the parts yields a non-functioning system. To pass on this function to off-spring, all parts must be present, which challenges evolutionary model. Butterflies: the caterpillar spends its life gorging itself. In the chrysalis, the caterpillar literally dies and its body is used as food by a latent set of genes that use the caterpillar’s body to build the butterfly. The big question- how did these butterfly genes evolve? All these facts are direct challenges to evolution and, as d’Abrera stated above, evolutionary biologists do not accept the data and have to distort truth to fit their philosophy. If it is fair to ask evolutionists to evaluate the data neutrally, outside of their preconceived notions, it is fair to ask Christians to do the same. In my view, since God made it, it is a win-win situation. This entry was posted in Science and tagged answers in genesis, Bernard d’Abrera, evolution, fine-tuned universe, Intelligent Design, RATE Project. I ran across this podcast today and thought it was extremely interesting. With the militancy atheists have against intelligent design, I never thought I would hear of one that supports it. He is Bradley Monton, Associate Professor of Philosophy at the University of Colorado, Boulder. I actually find some of the intelligent design arguments somewhat plausible and worth taking seriously within academia, and I’m unhappy with the sort of unfair and false criticisms that a lot of my fellow philosophers and academics have given of intelligent design. I’m also, for the record, unhappy with some of the intelligent design arguments. I think that, even though some of them are wrong, they could actually be given better than current intelligent design proponents are giving them. So I’m trying, really, to elevate the debate on both sides. While listening to their discussion, Monton struck me as someone who is extremely intellectually honest. He admires those Christians who take their faith seriously and defend their worldview versus the C-E (Christmas-Easter) Christians who go to church twice a year and that is it. He is very interested in the science-based arguments for the existence of God, finds some arguments very convincing, and yet remains an atheist. I find that very interesting. Luskin: What do you think happens when a person tries to pretend that there is no reason or room for any doubt or self-introspection in their worldview? Monton: Yeah…I think that leads to dogmatism, in part, and this sort of emotional reaction to the people who are on the other side. Because, if you think the other side is just completely, you know, has nothing going for it, then you’re going to dismiss them and react badly to them. It’s unfortunate and I appreciate the people who aren’t that way. And unfortunately, what I’ve been encountering lately are more atheists who seem to be completely and incredibly dogmatic about their view, and then…encountering Christians who are more sympathetic. Luskin: …when it turns to dogmatism and name-calling, it just saddens me. The debate could be so much more interesting and so much more life-giving than that. I don’t know the reasons for Monton’s atheist worldview, but there is something that could bring him to Christ. It is love in the style of 1 Cor 13: patient, kind, not envious, not boastful, not proud, not dishonoring, not self-seeking, not easily angered, not keeping a record of wrongs. “Love never fails.” The dogmatic and hateful atheists subvert themselves and their humanity, and people seeking truth know there is something woefully wrong with their character. The same can, of course, be said of the religious who are just as hateful. Monton finishes the interview quoting an email from a prominent ID opponent, whose attitude is that this debate was a cultural war and one must take a side and defend it vigorously. He was disappointed that one had to be on one side or the other, rather than searching for truth. Give this podcast a listen and let me know what you think. This entry was posted in Religion, Science and tagged Bradley Monton, Casey Luskin, Intelligent Design. I’m currently on vacation, soaking up the Florida sun…and rain. So, while we are stuck inside, and I have some motivation to do so, I would like to share this article I began reading last week. It is heavily referenced and provides a great source of reading concerning the debate on Neo-Darwinism. It is really a fantastic display of scientific knowledge disputing the validity of random mutation/natural selection with regard to macroevolution and the origin of life. The article(s) are at times technical, but I found that this particular article represents sort of a “running jump in the pool” in terms of the arguments for and against evolution (unguided, macro), the responses by Neo-Darwinists, and the sort of commentary and in-depth analysis that is going on over at Evolution News & Views, a pro-Intelligent Design website that is continually building an arsenal of information. The logic and evidence discussed here at this website is exactly why the scientific weakness of current “modern synthesis” of evolution should be taught in public schools. I recommend reading the links as you come to them if you have the time, but this article by Joseph Kuhn in the Baylor University Medical Center Proceedings is a must read. This is a tour de force of the arguments against Neo-Darwinism. Do you disagree? Read the critical comments by other medical professionals here. Well, the rain has passed and the sun is coming back out…time to get back to the pool! Cheers! This entry was posted in Science and tagged Evolution News & Views, Intelligent Design, Joseph Kuhn, neo darwinism. Information is central to all living systems, and is responsible for assembling the proteins that are essential to life and reproduction. Being a biochemist and taking many courses in molecular biology as well, I knew this already. But information, in and of itself, is mysterious…and that is something I hadn’t really thought about. Consider: if I fax a form to my bank, what I put into the machine and what comes out on the other end is not the same thing. They are different sheets of paper with different ink—the form can even be stored digitally. The actual information has nothing to do with ink or wood pulp or electrons on a hard drive. Information is completely different from “dust or particles,” and that seems to be the crux of the intelligent design argument. This is something I had never considered before reading Signature in the Cell. It shows my ignorance of history and philosophy, for this was the dominant worldview for centuries. It was the understanding of Plato, Aristotle, Roman Stoics, Jewish philosophers such as Moses Mainonides, Christian philosophers such as Thomas Aquinas, and most of the founding scientists in the scientific revolution from 1300-1700 that mind was the primary source of reality. Material either issues from or is shaped by (or both) a pre-existing intelligence. This ignorance on my part is not surprising, though, if you think about it, since materialism dominates the modern university. So, does information have anything to do with the DNA molecule? Or does it have everything to do with the order of the nucleotides? It is such an interesting insight to consider when reviewing data and articles on origin of life—does this experiment or result solve a material problem (producing amino acids or nucleotides in a test tube) or an information problem (the cause or mechanism of specific ordering of nucleotides)? And as I read more about origin of life, the more this delineation should be at the forefront of my mind. The attribute inherent in and communicated by alternative sequences or arrangements of something that produces specific effects. The first definition is sort of generic and intuitive, and deals with what people do all the time: “Turn right on Oak St.” “I like you a lot.” “I loathe you and all you represent.” Knowledge is passed from one being to another, and the other can take whatever action they see fit. A right turn, a kiss, or a firm uppercut. The second definition gets into more detail of the “language” of information—sequences or arrangements that produce an effect. It’s the arrangements that have an effect, and therefore the arrangements are a cause. This definition seems more applicable to software or DNA code. Order redundancy – ABCABCABCABC etc. This kind of information is compressible and, because of its regularity, carries little information. Mere complexity – ALWIWOCZNVDWIQSAOA. This information is not compressible. It is complex, but not specific to any particular function and conveys no information (assuming no hidden code). An example from the biological world would be random polypeptides or polymers that serve no biological function. Specific complexity – “TIME AND TIDE WAIT FOR NO MAN”. This information is also complex and not compressible. It clearly serves a function, though, or communicates a message. Biological examples include functional DNA and proteins. This is a synonym for specified information or informational content. It is this specified complexity that Intelligent Design theorists are most interested in. What qualifies DNA as information-rich is that fact that the code in DNA is translated (via RNA) into a protein that performs a function. Yes, one can perform experiments to try to imitate what happened in the “primordial soup.” But these experiments have to do with the dust and particles, and have nothing to do with the generation of information. That is what is essential to understanding where intelligent design is coming from. Suppose it can be discerned how nucleotides came together, formed the unfavorable bond at the ribose backbone, and then formed long enough chains—that is still not the same as explaining the origin of the information formed. This entry was posted in Science and tagged information, Intelligent Design, Signature in the Cell. I finally found the time to watch this video (at least the 20 minutes provided here) on Alfred Russel Wallace. It is amazing that I have never heard to this guy before. Who really has? How can that be? He was a cofounder with Darwin, and remained an unknown to us today. How can his ideas and life be so buried from the general public? I found Wallace’s book “The World of Life” in Kindle format on-line, and look forward to reading it this year. It is interesting to note that Wallace was not a theist. He came to his conclusion of intelligent evolution based on observations of the natural world. This entry was posted in Science and tagged Alfred Russel Wallace, darwin, evolution, Intelligent Design. This film is beautifully shot and narrated, and is a fascinating look at the amazing life cycle and migration of butterflies. My family and I really enjoyed viewing it. I came home one day and found my kids watching it on their own. 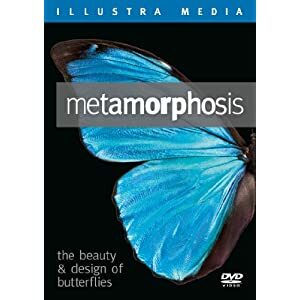 The movie also explores the implications for intelligent design as an explanation for the caterpillar/butterfly development. Francis Crick said in “What Mad Pursuit” that biologists must “constantly keep in mind that what they see is not designed, but rather evolved.” Other evolutionary biologists have made similar statements. Design itself, or at least the appearance of design, doesn’t really seem to be debatable. It is the mechanism of that design that is currently causing argument and controversy. Prior to Darwin, there was a general belief that there was a designer, going all the way back to Greek philosophy of “matter” and “forms.” What Darwin brought to the table was a purely materialistic explanation for the design we observe, through the mechanism of natural selection. In order for natural selection to “design” life, potential biological advantages (via mutations) must be passed on to their offspring through reproduction. The organism must reproduce to explain the evolution of “designed” creature. It is essential for the objective reviewer of this film to keep this in the forefront of their mind. Why? A caterpillar is a fully functional organism that doesn’t reproduce in its caterpillar form. The only way for this species to reproduce and pass on its genome is to form the chrysalis, trigger the activation of isolated dormant genes, digest the flesh of the caterpillar, and form the highly advanced butterfly structures. Essentially, one insect dies to becomes a totally different and sophisticated insect! For evolution to be true, with respect to natural selection, all of the genes for a butterfly *must be* present, functional and regulated in order for the caterpillar/butterfly to reproduce—in the first generation. This entry was posted in Education, Science and tagged caterpillar butterfly, evolutionary biologists, Intelligent Design, metamorphosis. 1. There is no materialistic explanation for the origin of biological information (specified complexity) in DNA. 2. The only known cause of information is an intelligent agent. Signature of Controversy is a must read for those who have read SitC. You will learn more details why recent origin of life experiments, that supposedly tag ID as a dead-end, actually supplement the design argument. It will bring you into the dialogue that is going on in the blogosphere. Be prepared to access blog sites to read these SitC reviews first hand. It will position you to look objectively at the communities of scientists that are discussing this theory. This book has also helped to solidify the intelligent design argument for me, and hopefully it will do the same for you. This entry was posted in Science and tagged David Klinghoffer, Intelligent Design, Signature of Controversy. David Klinghoffer’s article in this book, titled “Scared to Read Signature in the Cell?”, sums up the Darwinian atheist activism against SitC. He details how Coyne, Fletcher, P.Z. Myer, and even hordes of Amazon.com pseudo-reviewers have not read the book and simply trash it. How can a person of reason truly review or comment on something they have not read?? Not just to comment, but to post comments such as, “religious speculation,” “a stinker,” and “drivel.” It is completely intellectually dishonest. How am I to respect evolution with disciples such as these? Do I throw out evolution because of this? Or do I learn what the evidence is, how it applies to our observation of nature, and assign it a place. Natural selection does occur, on a limited observable scale. There is hard evidence for common descent. There is no evidence for the generation of biological information by natural means. It is an amusing irony that while castigating students of religion for believing in the supernatural, [Fletcher] offers in its place an entirely imaginary “RNA world” the only support for which is speculation! Alas, carelessness and dishonesty are hallmarks of the Darwinian propagandists. Hordes of whom, by the way, have been trying to overwhelm Signature’s Amazon page . They post abusive “reviews” making, again, little pretense of having turned a single page even as they then try to boost their own phony evaluations by gathering in mobs generated by email lists and clicking on the Yes button at the question, “Was this review helpful to you?” Per Amazon’s easily exploited house rules, this has the effect of boosting the “review” to enhanced prominence. It’s a fraudulent tactic, and sadly typical. Is it really so? Can these people seriously, seriously, not detect their loathsome dishonest behaviour? Can they not see how hate taints their minds and body, degenerating their reasoning, and dehumanizing them into the true products of their theory of evolution, mere animals? This entry was posted in Science and tagged David Klinghoffer, Intelligent Design, philosophical naturalism, Signature in the Cell, Signature of Controversy. Since I have tried to describe this blog as a “pursuit of self-education,” I am wondering what the purpose of my previous post was (ID on the Abrams Report). I had read about this interview in Signature in the Cell and knew it was an ambush and an argument. I wanted to see it…but why would I want that on my blog? What about this video clip is educational? What did it teach me? Ok, I agree with intelligent design and think the theory is scientific and correct. One could say that, since I am a Christian, I am “predisposed” to it. Maybe so. But I believe I am open-minded enough to consider both sides of an argument. What I could not stand about the previous video was the disrespect and mischaracterization that went on. Abrams did not invite Meyer on to have a discussion–it was only to get him to say ID is religion. He insults and trivializes the peers who have reviewed the ID work, even though he doesn’t even know who they are. He also said that ID “assumes evolution doesn’t exist,” which is ridiculous. ID, in this argument, address the origin of biological information. It is plausible ID explains the origin of this information, and natural selection explains everything after. I personally do not yet know what I believe concerning evolution, other than that obvious observable fact that natural selection exists. Natural selection does not explain the generation of biological information, from what I have read. I am still reading. I have purchased Dawkins book, The Blind Watchmaker, and plan to read that this winter or spring. What irritates me, and I think I will just have to exercise patience, is that every book or article or video I see on intelligent design has people commenting with both an ignorant and mean spirit. Comments are made in exactly the same spirit of Abrams (biased, close-minded, loud, disrespectful) or that of Eugenie Scott (condescending, superior, ignorant and mischaracterizing). So, in the context of pursuing a self-education, this video (and the multitude of ignorant comments I have read) provides the negative example, what not to be. This entry was posted in Science and tagged Abrams Report, eugenie scott, Intelligent Design, natural selection, Stephen C. Meyer. The infamous Abrams Report with Stephen Meyer and Eugenie Scott. Well, I really don’t want to take the time to comment on this video. It is old and was just after the Dover school court case (or possibly during, I’m not quite sure) where the school district wanted to present ID as an alternative. I would like to good on Meyer, going on a very hostile show and holding his own. That show is just mosh pit of opinion, and there is no such thing as being “rude,” so get off it Eugenie. After reading Signature in the Cell, Eugenie’s claim that “Intelligent Design makes the claim that there are things out there in nature that are just categorically unexplainable by natural cause; therefore they were created–designed–by an intelligent agent…” What complete hogwash! Things?? The focus of ID is quite narrow: the origin of biological information. Evolution has been unable to categorically explain the origin of life. That is what ID seeks to address. Abrams. A mindless bully with some else’s notes. This entry was posted in Science and tagged Abrams Report, eugenie scott, Intelligent Design, stephen meyer. An excellent summary for the case for Intelligent Design (ID). Meyer answers critics who label ID as unscientific, citing Stephen Jay Gould, who described evolutionary biology, geology, paleontology, etc. as “historical sciences.” Meyer explains how the theory of ID fits these parameters. Clearly, the biological information contained in DNA is code-like, so much so that people like Dawkins and Crick have to remind scientists that it only “appears” that way. In his first premise, Meyer recounts a thorough history of the search for life’s origin and how each theory has yielded no results on how the genetic code evolved. For his second premise, he demonstrates that the only known cause for the generation of information (specified complexity) is an intelligent agent. We look at cave paintings and chipped flint and scientists determine that some sort of intelligence produced this work. SETI searches the galaxies for patterns of information that designate intelligence. Every one of us creates information daily. The conclusion of Meyer’s argument is an inference that, as the only known cause of information, intelligence was the cause of the rise of DNA. This inference, incidentally, is the same logic used by Darwin himself (the observation of micro-evolution and the inference that chance and natural selection, stretched back over time, determined the origin of species). One point I found interesting was the discussion of the predictions of evolution and ID concerning “junk DNA.” ID predicts non-protein coding sequences should perform biological functions. It shouldn’t be useless or junk. The model of natural selection predicts a genome “riddled with useless information, mistakes, and broken genes.” Scientists have labeled this area between genes as junk (“gene deserts”) and proof against design, but research coming out of the ENCODE Project (http://www.genome.gov/10005107#al-1) are showing these parts of the genome are in fact highly functional. As Philip Kitcher said, “Intelligent Design has deep roots in the history of cosmology, and in the earth and life sciences.” Kitcher’s argument against ID is this supposed inability to explain “junk DNA,” yet clearly, ID can be a guiding principle and theory. This is a book for those that truly want to understand the theory of intelligent design. There is a hard break that scientists use (methodological naturalism) which excludes anything supernatural from being considered as scientific. This book explains, step by step (sometimes a bit too slowly, perhaps), why ID is a viable theory that only invokes intelligence as a causal agent. There are, of course, theistic implications, but there are anti-religious implications from evolutionary theory as well. Meyer’s approach, however, is completely evidence based. Meyer quotes Antony Flew, a long time atheist who now accepts ID, asserting, we must “follow the evidence wherever it leads,” regardless of the implications. This entry was posted in Science and tagged Intelligent Design, Signature in the Cell, Stephen C. Meyer. I am almost finished with reading and taking notes on Signature in the Cell, and have found a great source of information for furthering my knowledge at Evolution News and Views. Already I have seen names quoted in the is book (James Shapiro, William Dembski), and see that there will be an on-line debate between Michael Shermer (editor of Skeptic magazine and Discovery Institute’s Michael Flannery. The debate is concerning Alfred Russle Wallace. This man apparently shares credit with Darwin for the theory of evolution, but then came to embrace Intelligent Design. There is an movie made about his life by Flannery. I also saw that there is a discussion going between a number of people, sparked by an aritcle by Dembski that asks, “Is James Shapiro a Design Theorist?” Perhaps here is where one can find links to all those involved. I want to see the movie and read Shermer’s criticism, but I am trying to work diligently to finish Signature first. I wanted to capture some of the links here for future reference. This entry was posted in Science and tagged Alfred Russel Wallace, Intelligent Design, Signature in the Cell.